SOUTHFIELD – The Virtual Reality / Augmented Reality Association has selected Lawrence Technological University and the LTU Collaboratory as the location for VRARA Detroit Chapter monthly meetings. LTU has also opted to join the trade association for the virtual reality, augmented reality, and mixed reality industries. The first six monthly meetings will be held in the University Technology and Learning Center Gallery on the campus of LTU from 6 to 9 p.m. Tuesday evenings, Feb. 27, March 27, April 24, May 22, June 26 and July 31. LTU’s campus is at 21000 W. 10 Mile Road in Southfield (see www.ltu.edu/map). The evening programs will include a keynote speaker, hardware and software demonstrations, and networking. VRARA is a global industry association serving the VR, AR and MR industries, representing 3,900 companies and 15,000 professionals through more than 50 local chapters. Those chapters are run by a local president who helps coordinate events, develops case studies, promotes member companies, and connects members in the local community and across the globe. As a VRARA member, LTU will participate in the association’s Educational Partner Program, under which the university will be connected with virtual and augmented reality companies to accelerate research, development, and learning. The chapter will also offer networking and learning opportunities for LTU faculty and students. Additionally, the LTU Collaboratory, as part of the Southfield SmartZone, will help startups and established companies scale up their businesses through mentorship, technology adoption, training, and other business services. 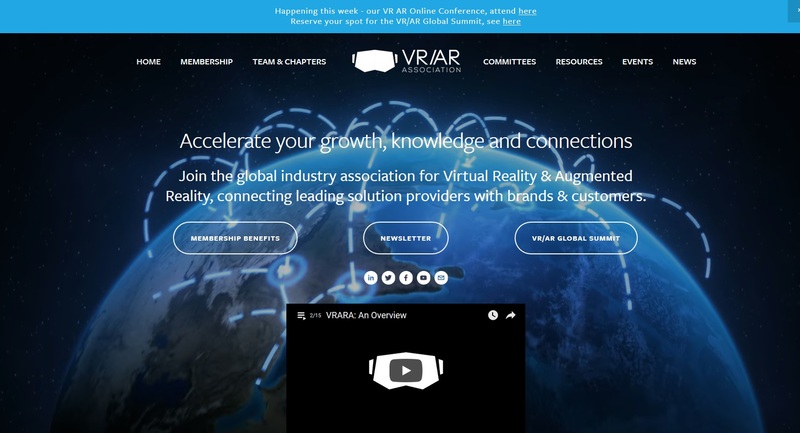 The VR/AR Association (VRARA) www.thevrara.com is an international organization designed to foster collaboration between companies and people in the virtual reality, augmented reality and mixed reality industries, accelerating growth, fostering research and education, developing industry standards, connecting member organizations, and promoting the services of member companies. For more information, contact Detroit Chapter Co-Presidents David Pollock at david@thevrara.com, Stephen Dantas stevedantas@thevrara.com or global executive director Kris Kolo at kris@thevrara.com. The Lawrence Technological University (LTU) Collaboratory, www.ltucollaboratory.com, helps small manufacturers and hardware entrepreneurs scale up for success by providing access to key resources specific to their unique needs. The Collaboratory provides leaders of these businesses with access to mentors, workshops, cutting-edge technologies, corporate connections, college students, events, workspace, and a collaborative community of peers. Additionally, Collaboratory clients will soon have access to a 6,200-square-foot center featuring additional workspace, training facilities, and a premier manufacturing technology lab. Among the Collaboratory’s offering are Scale-Up For Success, Hardware Massive, and the VR/AR Association. For more information, contact Mark Brucki at mbrucki@ltu.edu.